1. 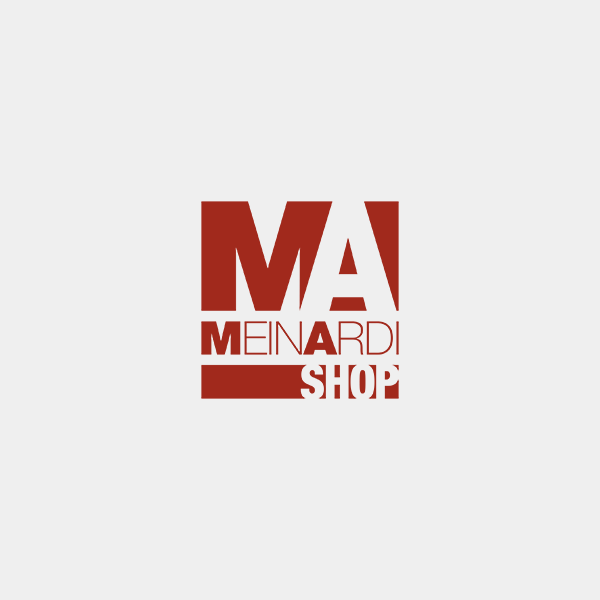 SCOPE OF APPLICATION: 1.1 These general conditions of sale shall apply to the supplies performed by MEINARDI ALESSANDRO di Meinardi Tommaso & C. s.a.s. (hereinafter referred to as the “SELLER”) and shall govern each and all sales and shipments of the products sold, retailed or howsoever supplied by SELLER (hereinafter referred to as the “PRODUCTS”). 2. ORDERS AND DELIVERY OF THE PRODUCTS: 2.1 The purchase orders of the PRODUCTS shall need to be placed in writing in either of the following ways: a) order forms: BUYER shall place the purchase orders through the dedicated forms provided by SELLER. Such forms shall be properly filled in and signed by BUYER or by the person(s) having legal capacity to commit BUYER. SELLER’s acceptance shall be effective only if given in writing. No purchase orders shall become binding upon SELLER unless BUYER first has accepted in writing these terms and conditions of supply; b) E-SHOP: SELLER operates an e-commerce website at the address www.ma-shop.it (hereinafter referred to as the “E-SHOP”) for the clients to place orders for the PRODUCTS, make and receive communications connected with such orders, view and download documents connected with the same orders and the PRODUCTS (hereinafter jointly the “Services”). In order to place orders through the E-SHOP and use the Services it, BUYER shall be required to first obtain access credentials (used ID and password), which SELLER reserves to provide at the request of BUYER. In order to obtain the credentials, BUYER undertakes to fill in correctly all necessary data and details required, as per the relevant one-time registration procedure on the E-SHOP. BUYER acknowledges that no formal requirement, other than BUYER’s flagging a specific checkbox or otherwise marking his acceptance through the E-SHOP of the terms and conditions of sale of the PRODUCTS and supply of the Services, shall need to be fulfilled; accordingly, neither BUYER’s authentic signature on any documents, nor other comparable formalities shall be necessary. Once the registration is completed, the access credentials shall be personal and exclusive for BUYER, and BUYER shall not disclose them to SELLER, nor to third parties; therefore, BUYER alone shall be responsible for storing and using them correctly, and any use of BUYER’s credentials shall be deemed legitimately made by BUYER. Accordingly, BUYER accepts that the use of the credentials on the E-SHOP shall be legally binding on BUYER and that all orders placed (or modified and cancelled, where applicable), as well as all communications made, as a logged user of the E-SHOP shall be legally binding on BUYER. BUYER’s acceptance thereof. 2.2 Irrespective of how the orders are placed: a) SELLER’s display of the PRODUCTS and quotation of prices shall be deemed an invitation to offer, and each purchase order placed by BUYER shall be deemed an offer. SELLER shall have the right to reject any order at its sole discretion, and no order shall be binding on SELLER unless and until specially accepted by SELLER; b) it shall be BUYER’s responsibility to properly fill in all required data, specifications, details and quantities of the ordered PRODUCTS. BUYER shall be under no responsibility for verifying that the ordered PRODUCTS are fit for any particular purpose, nor comply with any plans nor projects; c) SELLER shall, upon accepting an order, report in writing to BUYER all the relevant details (hereinafter the “REPORT”), and BUYER shall be required to notify SELLER of any inconsistency or discrepancy with the purchase order in writing within two (2) business days of the REPORT, or, failing that, the latter shall be final and prevail on the original order. In the event any order should be rejected in part, the relevant REPORT shall show the PRODUCTS available for supply; in such event, BUYER shall be entitled to cancel the order within two (2) business days of the REPORT, or, failing that, the latter shall be final and prevail on the original purchase order; d) SELLER shall indicate in the REPORT the expected time of delivery of the PRODUCTS. The relevant term shall not be binding upon SELLER unless otherwise specially agreed by the Parties. BUYER accepts and agrees that SELLER may need to order or re-order the PRODUCTS from third parties specifically to fill BUYER’s order, and that the delivery of the PRODUCTS to BUYER might be put off or be otherwise affected; e) unless otherwise accepted in writing, full or partial payment of the PRODUCTS shall be made before delivery thereof, as per BUYER’s instructions. BUYER shall be under no obligation to fill BUYER’s purchase order, nor to order or re-order the PRODUCTS, unless and until the payment schedule has been complied with by BUYER. SELLER’s delivery of the PRODUCTS, or parts thereof, to BUYER may be withheld, delayed or cancelled as a result of BUYER’s failure to meet the payment schedule. In the event an order should be cancelled by SELLER for any reason other than BUYER’s breach of contract, any refundable payments made by BUYER shall be repaid by SELLER; f) unless otherwise specially agreed, the PRODUCTS shall be delivered Ex Works (EXW) SELLER’s premises, and SELLER shall not be liable for any loss or damage to the PRODUCTS after delivery thereof. The term of delivery and the quoted prices shall refer to EXW delivery and any additional services, including transportation or handling of the PRODUCTS, shall be charged separately; the relevant rates shall be quoted by SELLER upon offering or accepting to perform the concerned service(s); g) SELLER shall notify BUYER the final date of delivery as soon as the PRODUCTS are available therefor. SELLER shall not be liable to BUYER in the event of delay in the delivery of the PRODUCTS, irrespective of the reasons for the delay. In the event the ordered PRODUCTS, or part thereof, should be or become unavailable to SELLER after the order has been accepted, SELLER shall update the REPORT accordingly and the order may be performed or cancelled as per § 2.2 c) above. Partial or batch deliveries of the PRODUCTS shall be admitted; h)BUYER shall take delivery of the PRODUCTS within five (5) business days of the date of delivery confirmed by SELLER. If BUYER delays collection of the PRODUCTS, then without prejudice to any right or remedy SELLER shall be entitled to: (i) store the PRODUCTS and charge BUYER for all incurred costs; and (ii) if BUYER’s delay exceeds ten (10) business days, sell the PRODUCTS to third parties at the price readily obtainable. In this case, if a refund is payable to BUYER out of any advance payments made by BUYER, SELLER prior to transferring the refund to BUYER, shall be entitled to offset from the proceeds of the sale to third parties all incurred storage and handling costs, plus 15% handling indemnity on the remaining balance. 3. CHARACTERISTICS OF THE PRODUCTS: 3.1 Unless otherwise agreed in writing, the PRODUCTS shall be the standard production of the respective manufacturers, with no customizations nor adaptations, and shall not need to conform to any special requirements or specifications. The same shall apply to labels, packing and packaging materials and any ancillary items. Under no circumstances shall implied or unstated specifications, nor requirements be binding on SUPPLIER. 4. PRICES AND PAYMENT: 4.1 Unless otherwise agreed, the prices of the PRODUCTS shall be those quoted in SELLER’s order confirmation and shall be considered Ex Works prices. Any additional, packing or other costs shall be separately charged to BUYER. 4.3In the event the price of the PRODUCTS, or part thereof, should be due after delivery of the PRODUCTS, at SELLER’s demand BUYER shall be required to provide an irrevocable, first demand bank guarantee. The guarantee shall need to be: a) in a form acceptable to SELLER. SELLER shall be entitled to require that the guarantee complies with, and is subject to, the relevant ICC publications (including UCP600, ISP98, URDG758, whichever selected by SELLER upon approving the draft guarantee); b) confirmed by SELLER’s bank. A guarantee previously accepted by SELLER but not confirmed by its bank shall need to be re-issued or replaced. 4.4 In case of BUYER’s delay in any payment: (i)interests shall accrue at the rate provided under Italian law in the matter of commercial transactions; and (ii) SELLER shall not be required to perform any of its obligations until full payment is collected. 5. RETENTION OF TITLE : 5.1 SELLER retains title on the PRODUCTS delivered to BUYER until full payment of the price thereof is collected by SELLER. 6. WARRANTY: 6.1 The PRODUCTS are guaranteed by the respective manufacturers to be free from defects in materials and workmanship and are covered by the warranty conditions of the respective manufacturers. SELLER shall if applicable pass on to BUYER the rights arising out of the manufacturers’ conditions of warranty, and no other warranty nor liability shall be undertaken by SELLER. It shall be the responsibility of BUYER to enquire with the relevant manufacturers or to retrieve the warranty conditions e.g. on their respective data sheets, websites, catalogues and the like. At the request of BUYER, SELLER shall: (i) pass on or extend to BUYER all the information available on the manufacturers’ warranty terms and conditions; (ii) forward to the relevant manufacturers any claims from BUYER, it being understood that SELLER undertakes no representation nor obligation in connection therewith. 7. TRADEMARKS: 7.1 The PRODUCTS are supplied by SELLER under their respective trademarks or tradenames, if any. The sale and supply of the PRODUCTS shall not imply nor establish any license nor any other right on the trademarks, nor on any other intellectual property rights of SELLER, nor of third parties. 8. FORCE MAJEURE: 8.1 Each Party shall be entitled to hold or cancel the performance of its obligations, if as a consequence of any event whatsoever beyond its control, or resulting from such things as, by way of example only, strike, boycott, lockout, fire, war or civil war, riot, embargo, inability to obtain fuel, power, raw materials. The concerned Party shall, if possible, promptly notify the other Party of the occurrence of the force majeure event and advise on the expected consequences. 9. APPLICABLE LAW - COMPETENT JURISDICTION: 9.1 These general conditions of sale and the supplies of the PRODUCTS shall be governed by the Italian law. The United Nations Convention on contracts for International sale of goods shall be applied only to the extent its provisions do not conflict with these general conditions of sale. 10. LEGAL NOTES: 10.1 These general conditions of sale are the only agreement between the Parties for the sale of the PRODUCTS and may be amended exclusively by the written agreement of the Parties. Any services performed by SELLER, e.g. in the matter of selecting, measuring, advising on the installation of the PRODUCTS, shall not affect the agreement between the Parties, which will only concern the supply of the PRODUCTS.